She's known for impeccably polished style, but today the Duchess of Cambridge proved her ability to seamlessly transition from smart to sporty. 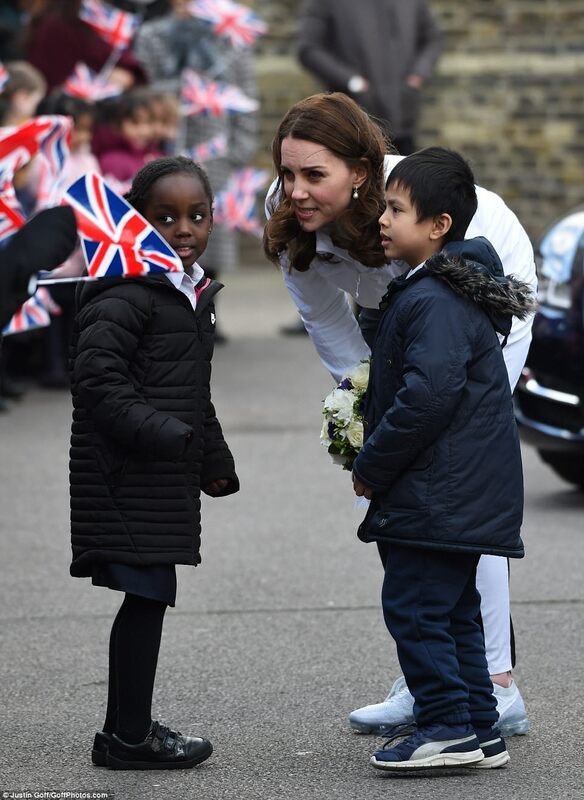 The Duchess arrived at Bond Primary School in Mitcham to see the work of the Wimbledon Junior Tennis Initiative, having changed out of the Boden coat she wore this morning into £220 luxury joggers. Kate rocked the sport luxe look in the Monreal London ‘tuxedo’ track pants, which she's worn on two previous occasions and £170 Nike Air VaporMax trainers, loved by footballers such as Cristiano Ronaldo and Rio Ferdinand. Earlier today, the royal cheered up four-year-old patient Rafael Chana as they exchanged smiles and high fives this morning, when the Duchess visited his bedside. 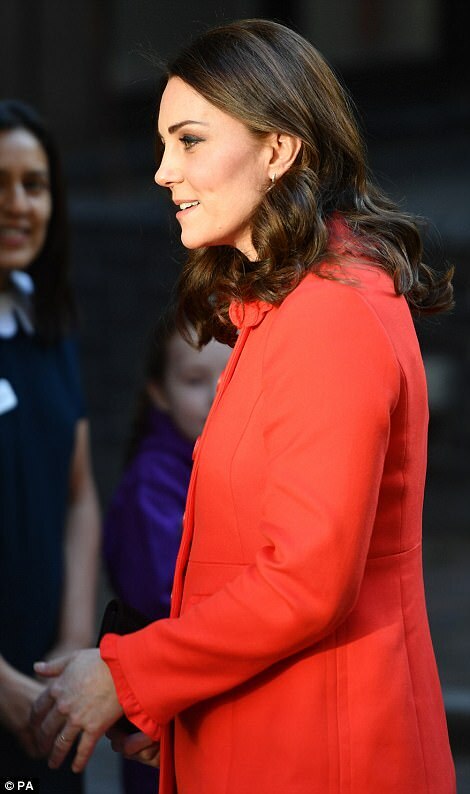 Kate, who is known for her love of the high street and today Kate proved her loyalty again by opting for a vibrant red coat from Boden - a firm favourite with middle class mums. The royal, 36, wrapped up her baby bump in the £220 number worn over a custom-made peach dress, which she previously wore while pregnant with Prince George, and even braved chilly temperatures in a peach dress legs. However, she left her £300K engagement band, which once belonged to Princess Diana, in accordance with the hospital's policy on minimal jewellery. On arrival, Kate was welcomed by nine-year-old cystic fibrosis patient Ava Watt who gave her two bears called Bernard and Wendy. 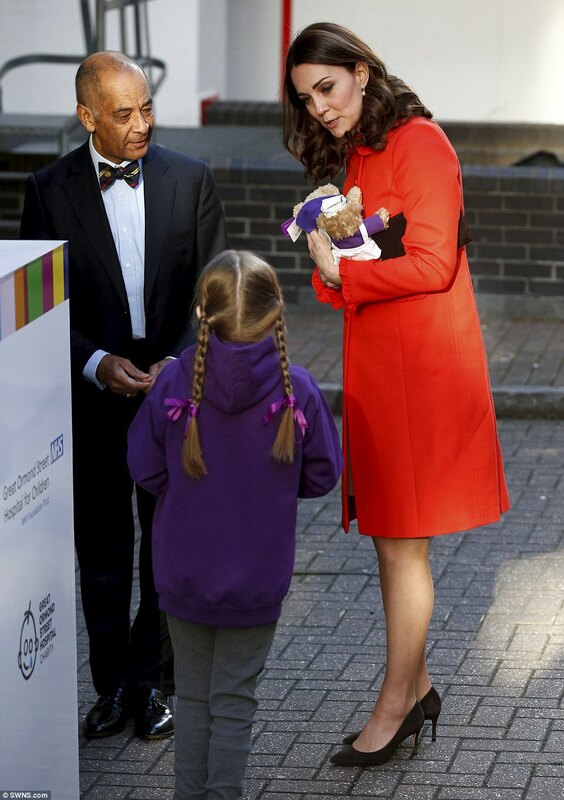 Ava, who lives just around the corner from the hospital, said Kate told her the teddy bears will be 'a lovely present'. She also gave Kate a thank you card with a poem inside which said GOSH 'gives hope to so many children and their families' and described it as a 'magical place'. 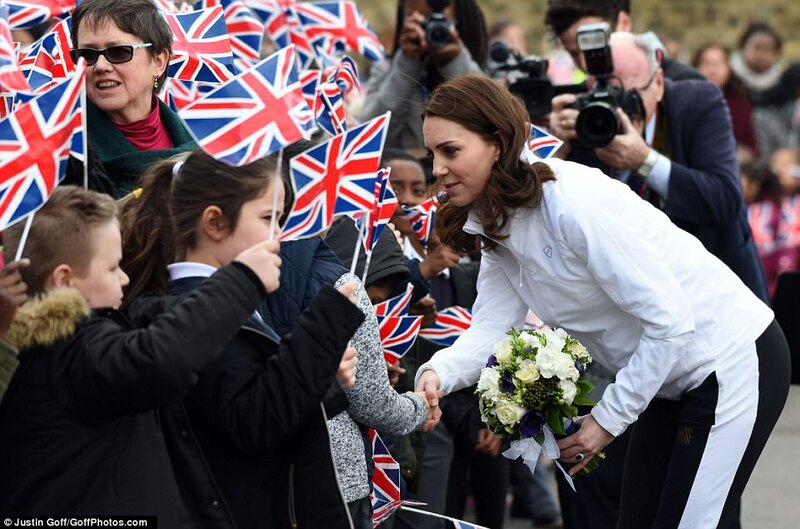 Ava's mother Kylie Watt, 41, an opera singer who performed alongside James Corden in One Chance, also met Kate and said she thinks the duchess found the visit 'emotional'. Kate visited Sienna Mcguire, who is six months old and has a complex heart and lung condition after being born premature at 33 weeks. Sienna, from Cambridgeshire, has spent much of her first six months in hospital as she does not have a right lung. The duchess also met four-year-old Rafael Chana, from East Preston, who is waiting for a heart transplant. 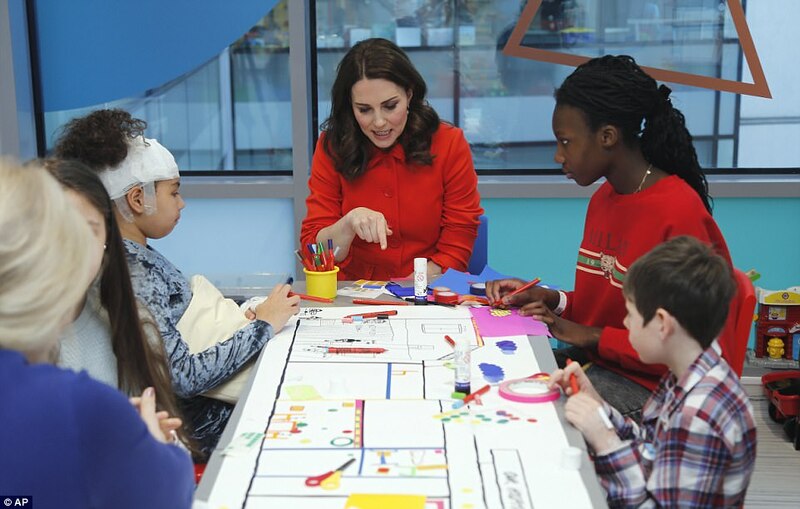 The Duchess was visiting Great Ormond Street Hospital (GOSH) to open the latest phase in the institution's ambitious redevelopment project. 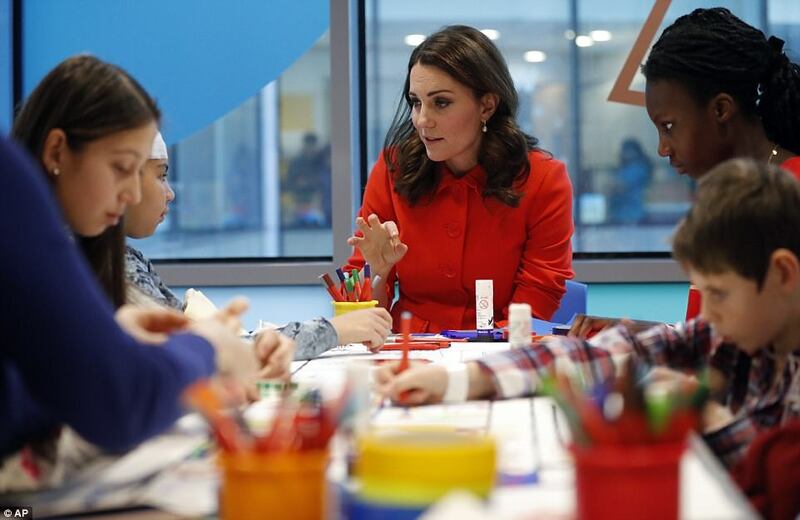 Kate met with young patients and their families to hear about their experiences of the enhanced facilities in the completed Mittal Children's Medical Centre. The centre has transformed the hospital's inpatient facilities and fulfils its goal of providing modern accommodation for all the young patients, and allowing parents or carers to stay comfortably by their bedside. It was completed over two stages, first the Morgan Stanley Clinical Building was created followed by the recently finished Premier Inn Clinical Building. The second clinical building involved redeveloping and refurbishing the children's hospital's cardiac wing and is now home to a new surgery centre alongside inpatient wards for medical specialties like infectious diseases and cardio-respiratory. 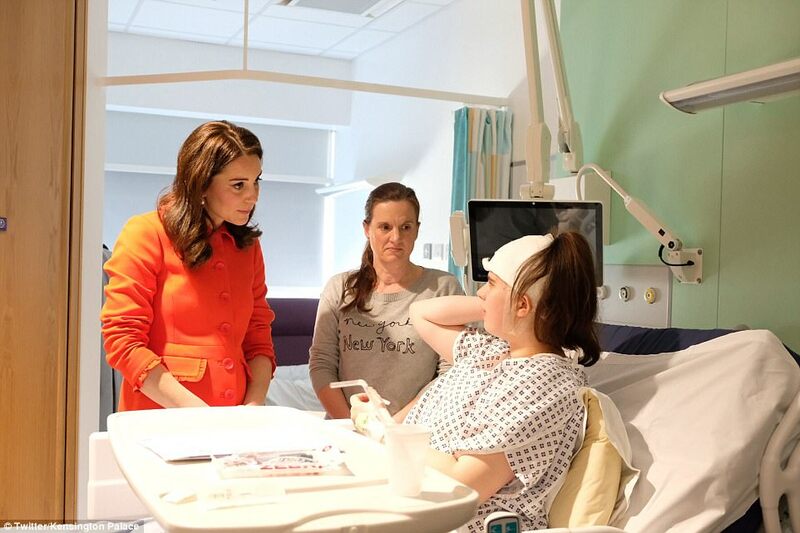 During the visit Kate also met staff caring for young patients and talk to clinicians carrying out cutting edge research to help the most seriously ill children. The royal family has a long-standing relationship with the hospital with Queen Victoria becoming its first patron after it was founded in 1852. 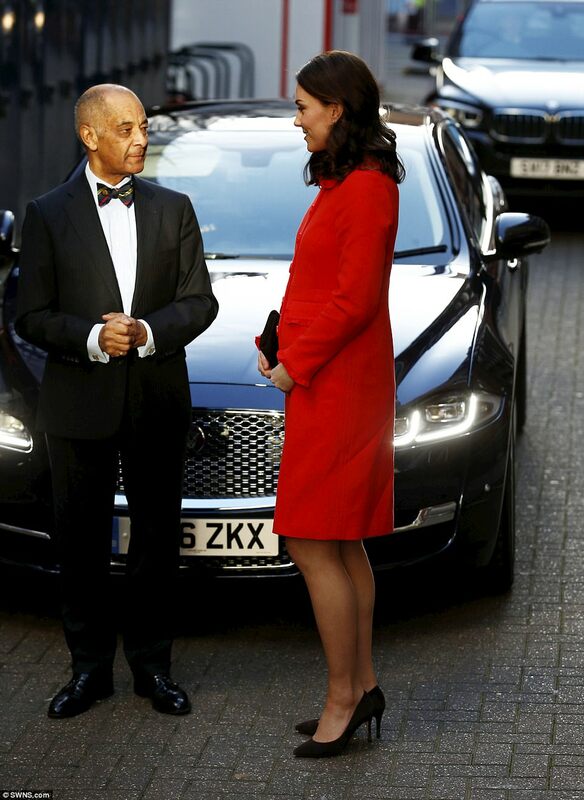 After officially opening the new building, the Duchess gave a short speech saying that she'd been very 'impressed' on her first visit to the hospital. 'I'd like to thank you for having me here today,' she said. 'It's been my first visit to great Ormond Street and I've been so impressed by everything I've seen and the scale of the work going on here. 'It's been wonderful to meet so many families and young people. I've been so inspired by their bravery and courage at such a difficult time. 'My main message is congratulations to you all. It means so much to the families, both to the parents and children. You can see the real family element the hospital brings at such a difficult time. It's been a busy week so far for Kate, who yesterday visited Coventry with Prince William, their first joint engagement of 2018. The couple visited Coventry Cathedral, before officially opening the new Health and Science Building at Coventry University. 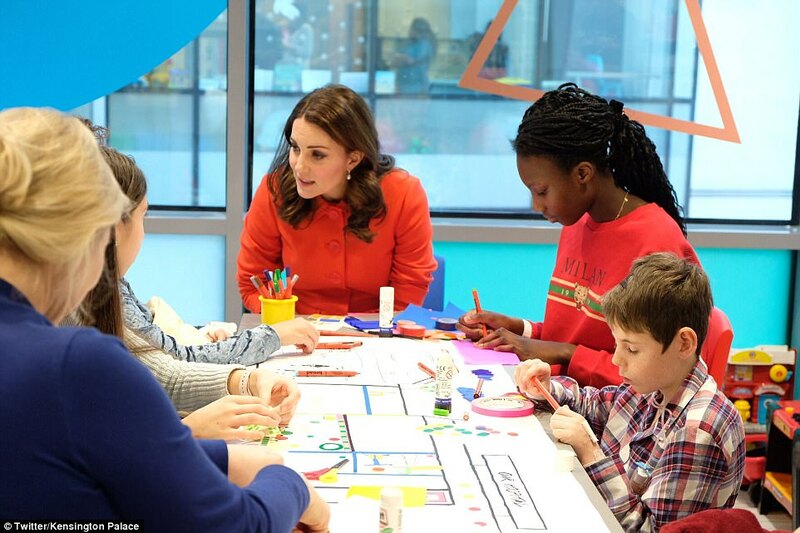 William and Kate rounded off their day by seeing first-hand the work of the organisation Positive Youth Foundation in the city. The foundation works with young people who find themselves living in challenging circumstances, from those excluded from school to others at risk from a range of social issues.